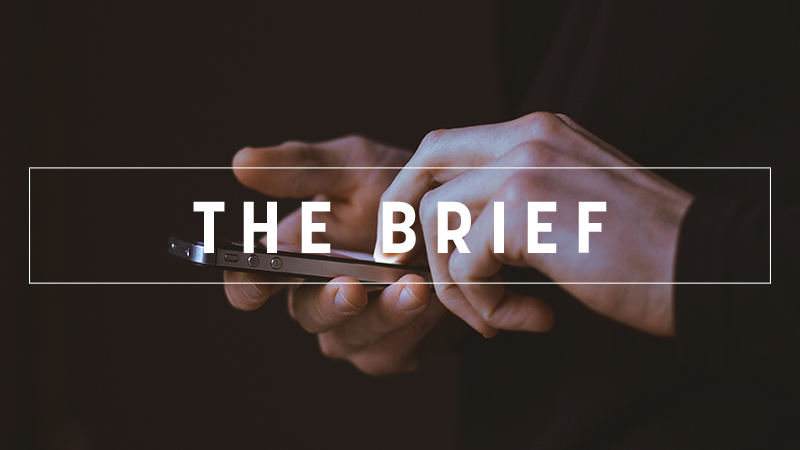 The Brief, powered by AmCham EU – What price a partnership of equals? Talks on the successor to the Cotonou Agreement between the EU and African, Caribbean and Pacific (ACP) community will start in earnest on Friday (28 September). Cotonou, it is fair to say, is not well-loved, particularly in Africa and Europe, the two main blocs. Europeans complain that African governments have not implemented the controversial Economic Partnership Agreements (EPAs) or rules on returning migrants. African leaders say that the EPAs don’t serve their economies. Many on both sides think the ACP is an outdated concept. How can a pact serve the interests of countries as diverse as the Bahamas and Burkina Faso, or Samoa and South Africa, they say? A closer look will also reveal that Africa is now struggling with the problem that so often plagued the EU: How to speak with one voice. At an event hosted by EURACTIV on Wednesday (26 September), Geert Laporte described the ACP as a ‘post-colonial configuration’. The European Commission’s Koen Doens, meanwhile, insisted that there is no binary choice to be made and that “it is possible to construct EU-African relations within the ACP framework”. Momentum had been building for a continent-to-continent deal before Jean-Claude Juncker’s promise of a ‘partnership of equals’ with Africa – one of the main surprises in his last State of the Union. The African Union of 54 member states has been pushing for that, with its plans for an African Continent Free Trade Agreement – now signed by 48 governments – at the centre. Carlos Lopes, the AU’s impressive High Representative on the post-Cotonou talks, told EURACTIV that an African free trade agreement should be “the main instrument through which to conduct trade with Europe”. “The African Union recognises that we are stronger when we negotiate as one voice,” he added. But that ambition might have to wait a little while longer. At their meeting in Addis Ababa last week, African ministers performed a volte face, backing the ACP’s negotiating mandate rather than the AU’s plan for a Common African position in the Cotonou talks. That was a major setback for the AU, which had obtained support for its ‘Common African’ position at a summit in April. The shift was led by Morocco and the Maghreb countries, which have their own trade deals with Brussels, as do the six countries in the Southern Africa Development Community. With the twelve members of the West African ECOWAS bloc following them, the AU quickly saw its common position crumble and may ultimately even be shut out of the real decision-making in the talks. So often lambasted for failing to reach a common position on migration, the eurozone and other issues, the EU is clearly not the only bloc that struggles to maintain a united front. That is a missed opportunity for the African continent, for whom speaking with one voice on the likes of trade, tax, and migration would make a lot of sense. As the EU-27 knows, having one voice maximizes Europe’s clout on the international stage. But the AU’s ambitions are not yet matched by institutional capacity, or by the political will from its 54 members for it to succeed. Until this changes, that promised ‘partnership of equals’ will continue to be elusive. Supporting more than 4.7 million jobs here, US companies are committed to Europe. With a new legislative term approaching, now is the time to bring new ideas forward. That’s why AmCham EU has identified four priority areas we believe should drive the political agenda over the next five years. Lost in confusion, Europe staggers towards elections. With eight months to go until European citizens will go to the polls, the party of Emmanuel Macron – one of the most closely watched politicians in Europe – is about to launch his European campaign outside France in Berlin. There might be six crucial figures to consider. To stay informed, please check out our new EU elections 2019 page! ‘Europe is under attack’, say Digital Commissioner Mariya Gabriel and Parliament President Antonio Tajani as the EU faces an enormous challenge to counter the threat of disinformation ahead of the 2019 European elections. The eternal debate continues over having a single seat for the European Parliament: It the monthly migration to Strasbourg really necessary? Austrian Chancellor Sebastian Kurz had to intervene after his government’s far-right-controlled ministry suggested muzzling the press. Labour’s Jeremy Corbyn comes to Brussels to warn the EU’s Brexit chief Michel Barnier of the dangers of a “no deal” Brexit. At a UN Security Council meeting that laid bare divisions between the United States and other world powers, President Donald Trump took aim at Iran, accusing the country of spreading chaos, and China of meddling in US elections. After MEPs have decided that Ankara has not improved rule of law conditions, the Parliament’s budget committee has voted to withhold €70 million in pre-accession funds from Turkey. Spain is furious over a letter sent to jailed Catalan separatist Carme Forcadell by the speaker of the regional Flemish parliament questioning democracy in Spain. Italy’s Luigi Di Maio abruptly cancelled participation in the Competitiveness EU Council in Brussels and flew back to Rome to smooth tensions over Italy’s draft budget. Cohesion Policy represents one-third of the current EU’s budget and is the main investment policy of the Union. Watch our short Explainer video on how funds are distributed across different regions. MEPs recently voiced their concern that cohesion funds could be reduced in the next EU budget. Commissioner Neven Mimica launches first round of talks on a Post-Cotonou partnership with the African, Caribbean and Pacific states in New York.